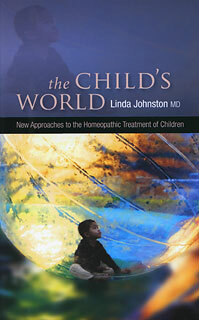 The Child’s World: New approaches to the homeopathic treatment of children is not just a book about treating children or ‘source’ prescribing or other things that one may, like I did, think it’s about. For me I found it such a great read for various reasons including that it was about treating children and about ‘source’ prescribing! It is, however, so much more. Before I expound on its’ virtues I would like to put it in the context of the ongoing tradition of homeopathy as practiced in America. I am talking about when our great healing art was introduced on this continent by the likes of Hans Burch Gram (founder in America, arriving in 1834 on our shores) and Herring, Kent, Wright-Hubbard and so forth. These were, like Linda Johnston, medical doctors that were learned people and, yet, understood how healing truly was done. Linda Johnston, IMO, practices as they did as many have continued to do – with care and attention to detail the enables them to understand the patients and cure them of what ails them. The same principles of cure are being used and in her book Johnston does a fine job of getting us to see that health and disease are what we must initially understand just as much as the patients even before we can move towards using any of the new methodologies she presents thru great cases. First off though, I need to let you know that I have the Didier Grandgeorge, have Herscu’s Children's Rxs and, check, have Master’s Children’s rxs and, as well, have Roberto Petrucci’s Children’s MM with rubrics. 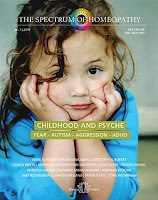 Also, recently read the wonderful Le Roux Butterflies and Kusse’s Children’s Types along with, of course, the Child Psyche issue, the first one, of Spectrum of Homeopathy. Albeit I have not really sat down with Catherine Coulter’s Children’ Types and many others that I may not even know of. Over the last few years – since being a student and reading Links right from the start – I always went out of my way to find children’s cases by various international homeopaths. Despite having used all of the above, I have noticed, as a beginner prescriber/practitioner, that what many of these books have in common is they assume that children are either a rx type or that the influences of modern times, as spoken about so well in the Spectrum issue, can still be dealt with in terms of using remedies that are not only the usual suspects but, that we can treat "constitutionally" even with all the new manifestations of pathology that we are seeing in practice. Louis Klein in his Spectrum piece said we are dealing with what he terms as the “new child”. I love this term – it captures everythg so well, the times, the children themselves…Autism spectrum, PDD-NOS and ADHD and aggression are all part of what we see more and more of along with just more disturbed behaviours all together in what everyone seems now to be accepting as normal (here “all” refers to some and not really all, but teachers, parents, doctors and the children themselves are all, for instance, taking constant runny noses/never finished coughs & colds, as well as, ticks, tapping, even public self-soothing, even masturbation publically thru to constant talking back/rudeness, whining and tears/tantrums along with sleep disturbances and eating & elimination problems for granted (whew, that list was long! )….Are we to accept all of these as part and parcel of normal childhood? What I observe as a parent (noticing maybe a little too much as I am a homeopath after all!) is that individual parents/families try to address the outcomes of parenting and nurturing without adequate supports as so they turn to interventions from the medical or educational world that can even be harmful never mind helpful. Solutions really are not getting at the root cause of the imbalances we see in children, families and the institutions. What is great about Linda Johnston’s book is that it does look at causality along with solutions...it puts the child in equation - into a context of development and in society, for instance. It reminds me of the homeopathic version of The Descent of the Child: Human Evolution by Elaine Morgan. 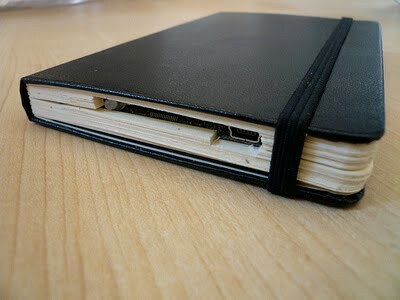 A book, by the way, that, IMO, any homeopath would love. They both speak to the nurturing of children developmentally…both come from a children's psychological perspective but with the homeopathic one having a look at the inner world as it relates to both the developmental milestones AND the source that the child(ren) resonate with (hence, “source” prescribing) and the latter one relates to the evolutionary growth of the child(ren) of the species. It should be noted that despite Johnston’s use of “source” prescribing or what she calls the “new methodology” really a practitioner that doesn’t subscribe to or practice this method - based originally on the Sensation method of Rajan Sankaran - will truly have their eyes opened as to the possibilities of how we can reach into the world of a child and learn what it is that they experience – as this is still really what our casetaking and even analysis of a case is based on: understanding the patient. Anyways, the book outlines how the core of our work is about understanding the child from their perspective and how Johnston helps us get to where we will be able to address the “new child”, all children, by viewing each patient, including adults, as having an inner world that they experience daily – day and night. So, we must get into that world to feel it, to understand what it is about. After reading the book the one case that exemplifies this and that is ingrained in my brain is the Sunnil Anand case of the 9 yr old girl that had allergies and asthma and experienced it as a brick in her throat that spun horizontally. I have always loved reading word for word what doctor and what patient say in the Intake and here we have transcription of the Interview…Massimo Mangialavori’s cases in Links were always like that and they really helped me so much at beginning see what went on and, therefore, how he came to the remedy – sort of, sometimes, it was if out of left field, but later, with little experience, made sense! This Sunnil Anand case, one of a few, is an outstanding example of how detailed the inner world of the patient is – with the 7 Levels of Sankaran, this would be at the levels of Delusion and Sensation. Reference to Sankaran is given again, and rightly so, but not really for the choice of the remedy, but more for the method of choosing the remedy by Family and Miasm – so, the remedy in this case was from the Hamamelidae botanical family that is Tubercular is Juglans cinerae, the butternut….which would have been difficult if not impossible to get at without the “new methodologies”…I think the work of Jan Scholten, not referred to here, would have led to the remedy as well in that the Stage and Row of Periodic Table would have gotten to a rx and then the equivalent that he and others are finding in other Kingdoms could have been reached…at a recent seminar with Scholten here in Toronto a couple mths ago he went particularly into the links of Plant Families with the places on the Periodic Table…beyond what he also has written about/worked on: The minerals…metals and salts in plants. In Child’s World there also is a wonderful history outlining how traditional classical homeopathy started off with prescribing on Symptom Picture moved to the Family/Miasmatic and Doctrine of Signatures and has even further broadened to really see that the source is the patient and the patient is resonating with the source and speaks, breathes, and lives their source – this is beautifully done. So, if you haven’t read all of Sankaran – like the newer Sensation, Sensation Refined for eg...you can skip these (but, note there are great descriptions of remedies a la Soul of Remedies – and the cases add to our MM, so do thk of them as reference books too). Something to mention that makes the book truly worth having on your shelf – it is lovely read, but can it hold water as reference with one’s limited book budget?? – is that it has the best outline and details on Childhood Development that I have seen in a long time, and I have been reading stuff on this for Psych and Social Work courses along for my own interest for years….so, believe you me, it is the tops! In conjunction with a couple of other resources, such as the evolutionary book, The Descent of the Child, a practitioner has everything they need to gage what is common in a child(ren) at certain ages. Milestones and markers are not explicitly laid out as much as the expectations/goals of certain developmental phases – which, really is much more intelligent a read/reference for us to have on hand. Oh, BTW, back to one little thing I mentioned earlier – the book is good for thinking and treating our adult patients as well. Linda Johnston states herself: "All homeopaths have had adult patients whose illness involved some unincorporated childhood stage of development or traumatic event that was still overmastering their life. In treating those cases, knowledge of childhood development, stages of growth and normal milestones will be of inestimable value." Moreover, by way of saying The Child's World is essential, the whole state of pregnancy and birth trauma is part of this book as well (w/cases). Only in the last year or so, did I discover Harry van der Zee’s books on these topics by reading Tinus Smits (Inspiring Homeopathy) on manifesting into self/planet and also work of Melissa Assilem with her Matridonal remedies. I had all along used Farokh Master’s State of the Pregnancy as my reference and was limited as I had no awareness of more work done that really expanded our horizons on what can be the source of the problem in a case. Linda Johnston is excellent…she covers it all and well. The term, incidently, that really is on the lips of modern homeopaths is “rebirthing” – even children may need to come back again after trauma of previous life time, as a foetus, or from birth is cleared…I will address this all in upcoming blog entries as there are great books on this and cases to read and learn from. All in all, if you already know and practice incorporating all the stuff mentioned above, I would still say that Linda Johnston’s book is a unique take and presentation on working with children AND adults. It is a book that you will likely read quickly, a real page turner, but go back to for reference in thinking on the world of your little patients. Although this last quote is about the state of health versus disease it can be applied to getting stuck in our ways/knowledge as homeopaths. Linda Johnston again: "All life has an innate drive towards expression, growth and development. Every advance necessitates leaving a state of stability and familiarity, thus, initiating challenge and risk. Despite the often felt desire to hold on to what is successful and familiar, in nature there is no possibility of staying static, resting on one’s laurels content with the status quo." So true, and for us it is truly about taking on the responsibility to be healthy and not be fearful about the so called “new methodologies” – the growth and development in homeopathy will be the future of how we work and how we can get results for our patients. I’m sure I will be writing further on this: it’s about the use of all possible substances/remedies, the use of all possible ways of seeing. As for Canada – do we not often get our history & even our culture inadvertently from South of the boarder?? but I will make an effort to get my school notes out as we had a great lecture on homeopathic history here in Ontario – as for the rest of Canada…if anyone has info do send to me and I will follow-up to get the Canadian content up to speed! Bedside manner with compassion and the medicines, homeopathic remedies, are what we need as a foundation; I feel good fitting myself into the history of our healing art here in North America. Stay well, but do Dare to be Better! Hugs to all of you, gentle readers.